Running back to … Moose Jaw? Guess Who frontman Burton Cummings finds new home in Sask. After 40 years living in Los Angeles, Burton Cummings is now calling Moose Jaw, Sask., home. It doesn't have an international airport, but it's way more "sane" he says. Move aside, tunnels and mineral spa — there's another attraction in Moose Jaw, Sask., nowadays. Canadian rock 'n' roll icon Burton Cummings has moved into the neighbourhood. 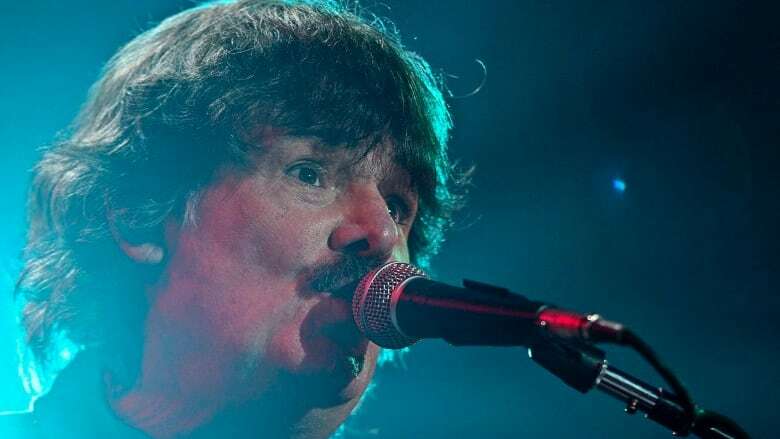 The former Guess Who frontman says he decided to move to the mid-sized Saskatchewan city — population slightly under 34,000 — just over a year ago, after decades living in the United States. "I was in Los Angeles for 40 years — the big city — and you know, I'm getting a little older now," said Cummings, who is about to turn 71. "Now that I'm over 40 I'd like to slow down a little bit, and I really do like Moose Jaw." He said the city is "small" and "sane" compared to southern California. "There's very little violence here, very little traffic. I've been very comfortable here." Cummings is originally from Winnipeg, but became quite familiar with Saskatchewan early in his career. "When I first joined The Guess Who I had just turned 18, and we spent the whole summer of 1966 in Regina at the Westward Inn," he said, easily rattling off some of the small communities he remembers. "Every night we would drive out to some place like Katepwa or Estevan, or one of the smaller places, and we'd play for four hours, drive back to the Westward Inn in Regina and do it all the next day." Now a household name, Cummings stands out a little bit in his new community. "I get stopped on the street for selfies and autographs and stuff, but it's charming here," he said. The only drawback for Cummings is that Moose Jaw doesn't have an international airport. "You can't fly in and out, and I fly so much," he said. "I have to drive to Regina and then fly out of there." Still, he acknowledges that the lack of an airport is likely a reason why the city is so "calm and not so fast-paced and crazy." Cummings's appreciation for the quieter lifestyle in Moose Jaw may have been sharpened by a recent experience. The 70-year-old was injured in a car accident in Los Angeles in May. In June, he told CBC he had mostly recovered physically from his injuries, but was still reliving the crash in his mind. Now, after a year living in his new home, Cummings likens Moose Jaw to Mayberry, the fictional North Carolina town where The Andy Griffith Show was set. "I know half the people here and I really enjoy it," he said. And, even though the weather can't compare to Los Angeles, Cummings said Moose Jaw's "temperate" climate is also a reason he's grown fond of the city. "I grew up in Winnipeg where it's always 100 below zero. Moose Jaw's very mild."